I'm a lipstick junkie and I know it. I wear my favorite by No7 just about daily, often when working from home or just picking up my daughter at school. The color just makes me happy. I've been wanting a backup color for spring, something instead of the usual pale red, that I could wear alone or mixed with the No7. Most of my fall and winter shades are a bit drab for a fun, bold spring look. During a visit to the Aveda salon, City Looks, a sample card caught my attention. 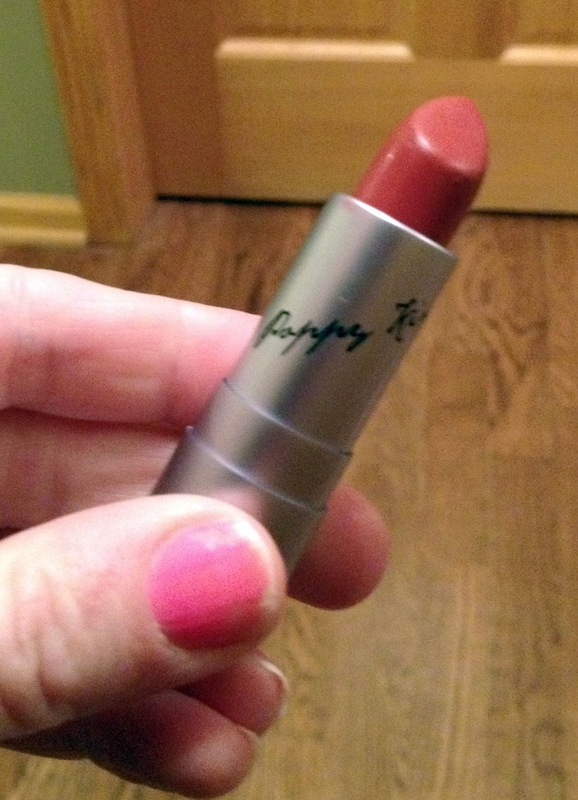 The model had a sheer reddish-mango shade on her lips and I had to have it. Unfortunately, actually seeing the suggested lipstick left me strongly reconsidering. It was more like a fire engine red and to imitate the model's look, I'd have to buy two products. I'm all about lipstick but spending $40 in one day would probably irritate my husband and bust our "incidentals" budget. 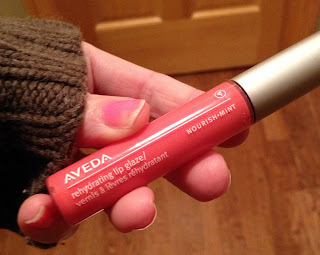 Thankfully, my stylist and the makeup artist had another suggestion, Aveda's rehydrating lip glaze in Sun Kissed Melon. I don't often wear lip gloss for the obvious reasons, like not wanting my hair stuck to my mouth on a windy day and believing gloss is best for fashion photography or models. I bought it anyway as it really was time to try something new. At home, I applied the new gloss and really loved how smooth it went on. It didn't look like I'd coated my mouth in Vaseline. Instead, I had nice, shimmery lips in a shade that was slightly darker than my natural color. Perfect for daytime wear and I expect an excellent choice for beach and park days. Before work this morning, I applied my usual, No7 lipstick in Number Two Power (aka pale red), which I just adore, and then added a thin layer of the Aveda lip glaze. The result was a perfect rosey peach with a bit of sheen. There's no doubt I'll add to my No7 collection. At just $10 a piece, it's not a big investment for such a great product. 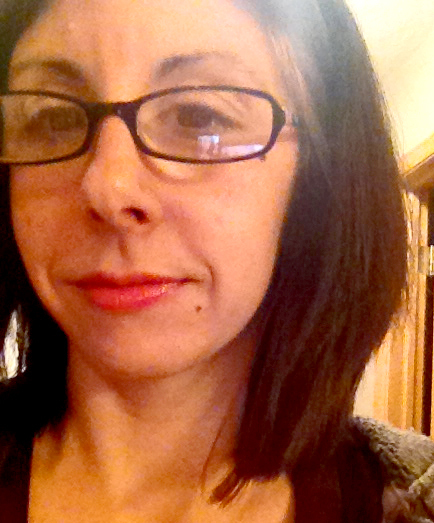 The Aveda lip glazes are $18, which is over my threshold of lipstick spending. This was an exception. However, when I'm out, I'll probably replace it with another one because of all lip glosses I've tried, the Aveda is by far my favorite.